One of the best parts of blogging is the ability to share your own passion with your readers. What happens when you have a topic that deserves its own package rather than a set of blog posts? 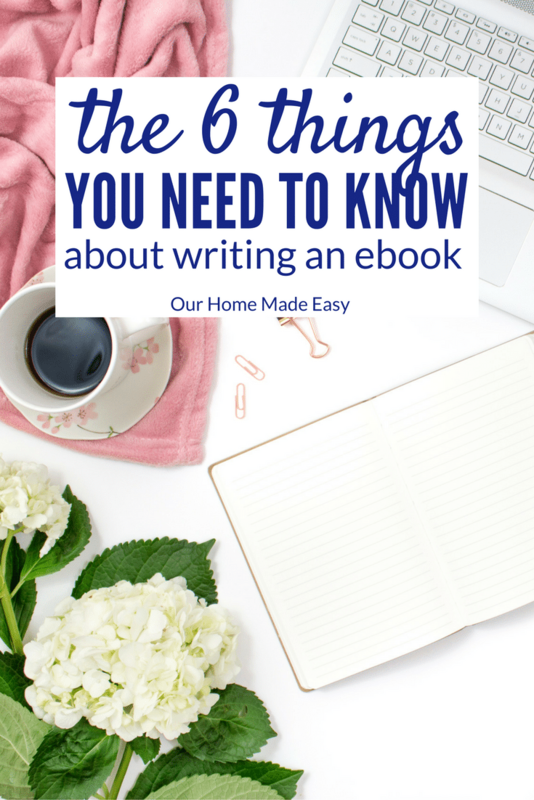 You write your very own eBook! Creating a successful eBook isn’t as overwhelming as you may think. You will find that whether your book is 20 pages long, or 100+ (like mine! ), the process is the same in how to write an eBook. I cannot wait to share with you 6 things you need to know before you sit down and write (& sell!) your own product. This post contains affiliate links. That means at no cost to you, I may earn a small commission for any sales generated through your clicks. See my Disclaimer for more information. When I decided to write an eBook, I didn’t know where to start. Did I simply write and hope someone would purchase it? How would I make time to write it above working full time, parenting, and blogging? I felt overwhelmed. Thankfully, I found BookBoss at the exact time that I wanted to plan my eBook. 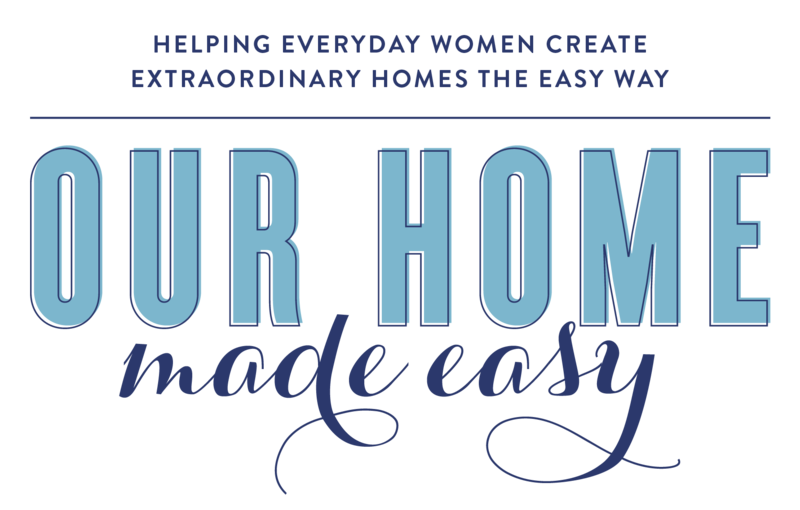 It’s taught by Abby Lawson of JustaGirlandHerBlog.com. 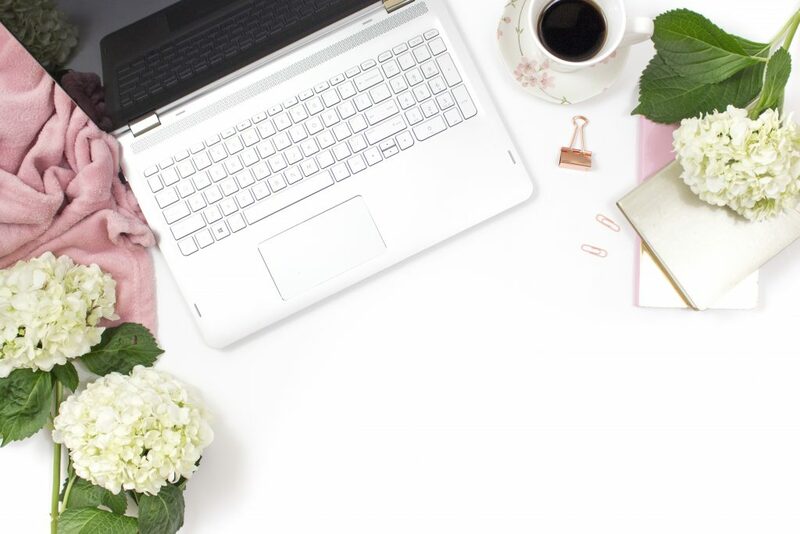 Abby makes a full time income writing eBooks and she created a full course on showing step by step directions on how to create one for every blogger. BookBoss is designed for a book launch in 90 days! It was awesome. 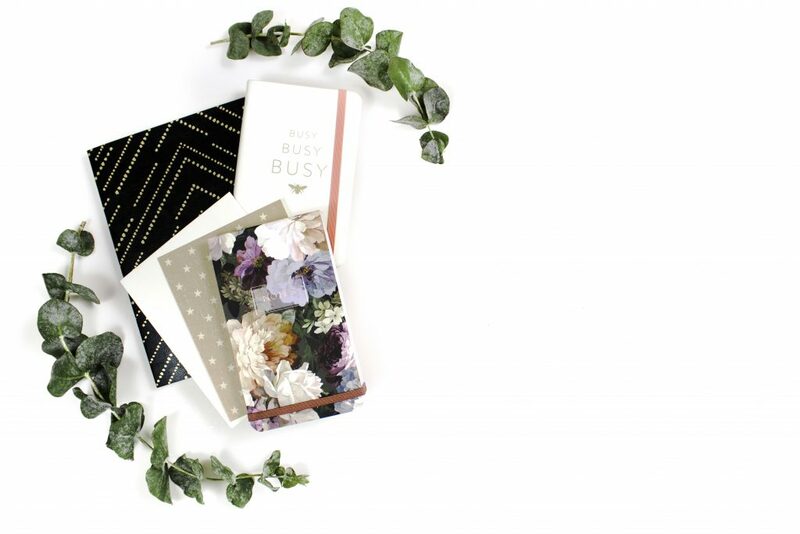 Abby even included planners where you determine your launch date and you work backwards so that you know what you need to be doing at each week in order to make your deadline! 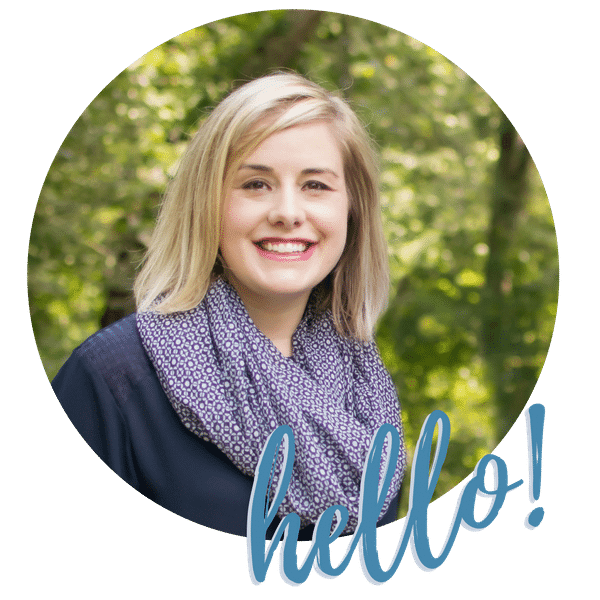 Abby included weeks on the planner devoted solely to writing the eBook and then time to setting up landing pages. It all worked so well in the planning stages. For those of us who need structure, I felt like I had it the entire time through launch! Being self-hosted means that you own the domain and don’t have blogname.wordpress.com in your URL. Not only are you not in full control of your page, but it doesn’t look professional. For as little as $3.95 per month, you can create a professional website and sell your products. I started my blog on Bluehost.com because it was inexpensive and super easy to setup. Since Bluehost, I’ve also used SiteGround hosting. Both are great options for beginners. If you need to create a blog, you can set one up in about 20 minutes using a step by step tutorial I created. It’s super easy! Every 8-12 months I ask my readers to complete a quick survey. If you haven’t already done so, create one for your readers. You’ll simply send out an email and ask to tell you their pain points. Ask them their favorite posts. I collect the answers in a free Google Form. You’re doing this so that you can create a product that they want. While you may have an idea of what type of eBook you’d like to write, it’s important to also know what you’re readers are going to purchase. If you’re readers love easy recipes, you wouldn’t want to write a book about the best 4 course dinners. Write your passion and fill the need for your audience. When you write about topics you’re interested in, the writing becomes so much easier. If you need to start small, do that. Abby explained in BookBoss that you don’t need to be an expert in your field, you just need to be a few months ahead of your readers who are experiencing similar pain points. In order to distribute your book, you’ll need a way to sell it to your readers. Sure you could choose Amazon, but then you don’t know who bought your book! I use Gumroad for selling Your Life Made Easy and all my bundles. Gumroad charges me $10 per month plus 3.5% per sale. They also have a free option that takes a larger percentage of the sale in place of the monthly fee. I really like that it’s secure for my readers, offers PayPal & Credit Card options. There are multiple methods of selling your products (think Etsy, WooCommerce, or Send Owl), you’ll need to simply choose one that works well for you. Before you can sell your own products, you need to have individuals you can contact (see above importance of the audience). Every Thursday morning I send out a weekly newsletter talking to my subscribers as friends— because I enjoy writing to them and receiving their replies! And I hope it comes across like a friendly email keeping them up to date with the latest blog posts and what is happening in our real life. When it’s time to launch your eBook, you’ll create an entire launch strategy (Abby designed my first launch!) and your email list is the most crucial part of launching! They are your biggest fans and they deserve to be treated well through regular communication– not just when you have something to sell them. When it comes to setting up your email lists, you could use Mail Chimp (it’s free for up to 2,000 sunscribers! ), ConvertKit, or my preference, Drip. I’ve been using Drip for some time and I love the automation component. It’s super visual and easy for me to understand. I moved from Mail Chimp to Drip with zero issues. So, if you’re looking to save money, start off simple and move yourself up as you need it.